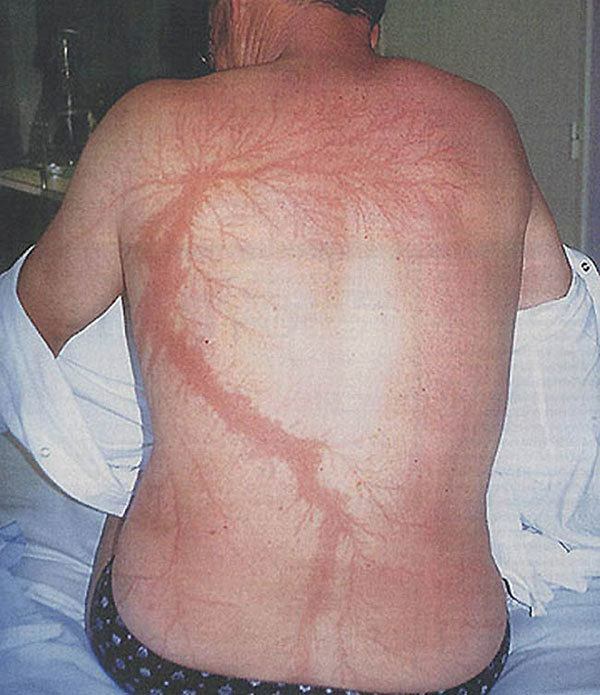 The effects of a lightning strike on the human body are often debilitating, if not fatal. Here's why. 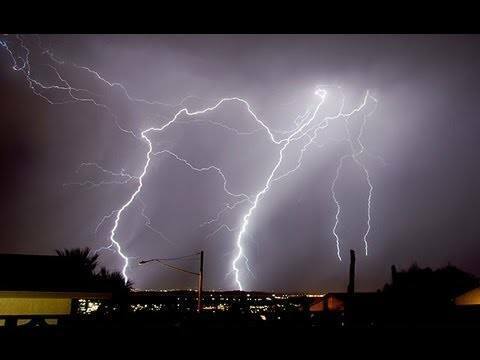 How Can We Survive A Lightning Strike? When you think about all the power, heat and electricity that comprise a lightning bolt, it is hard to imagine anyone surviving a strike. Yet most people do survive, in part because lightning rarely passes through the body. Instead, a “flashover” occurs, meaning that the lightning zips over the body, traveling via ultra-conductive sweat (and often rainwater), which provides an external voltage pathway around the body. 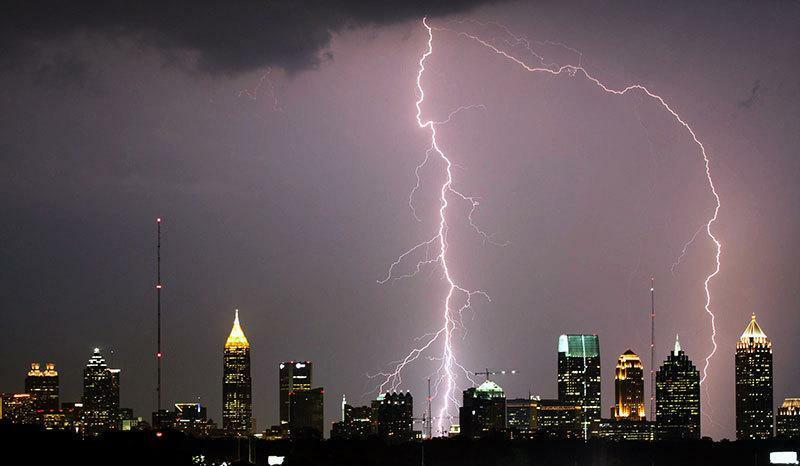 When people do die from a lightning strike, it is usually due to an electrical discharge-induced heart attack. 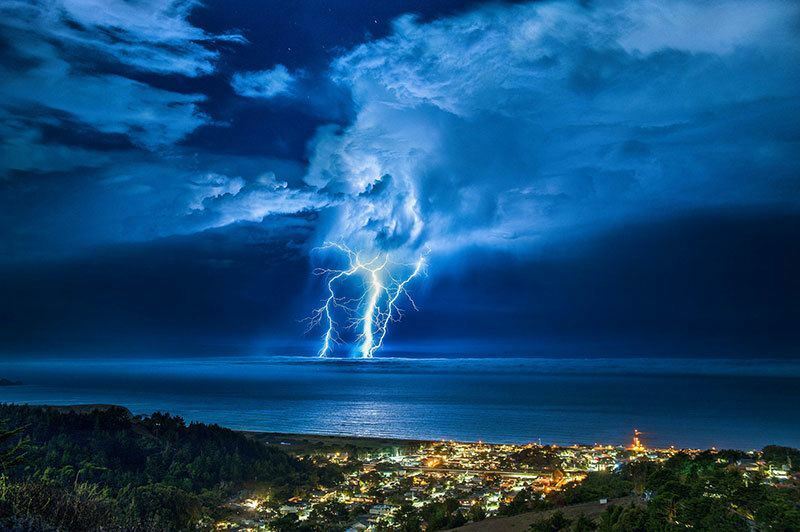 A body hit by lightning will show various signs of trauma. Like a gunshot, a lightning strike causes both an exit and entrance wound, marking where the current both entered and left the victim. 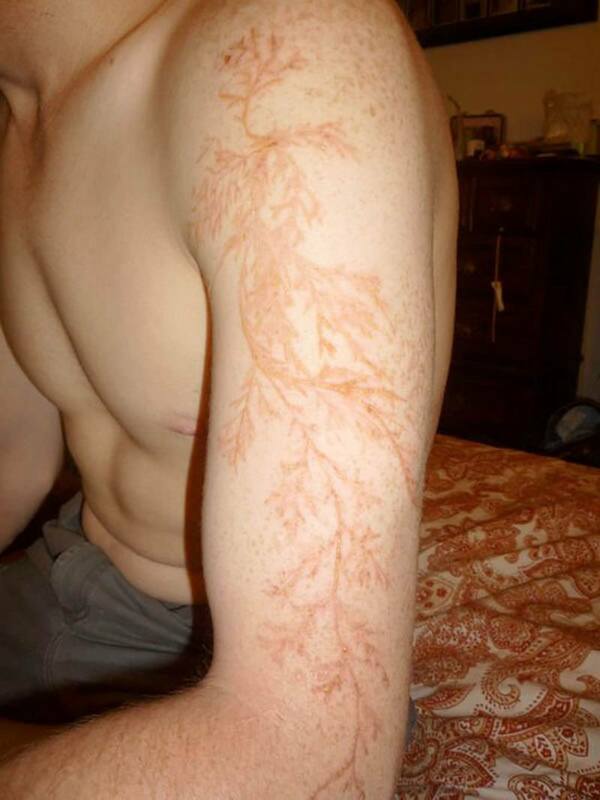 Lichtenberg scarring, which outlines ruptured blood vessels, frequently covers the body in odd, almost beautiful, spiderweb patterns (as seen in the images below). High levels of electricity turn sweat and rainwater into scalding steam, and transform any metallic objects—like keys and jewelry—into fiery, white-hot substances that leave serious burns. Clothing can be shredded or lit on fire by both the explosive force of air and the lightning bolt’s high heat levels. Often shoes and socks are thrown off of the lightning strike victim. 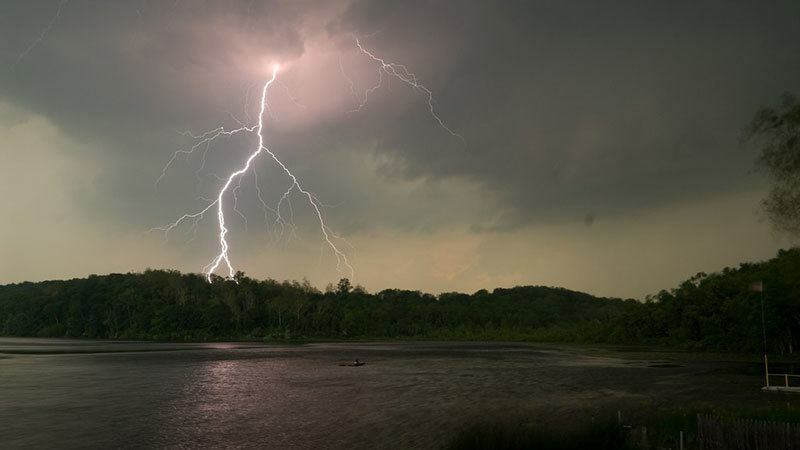 One of the most intense effects of a lightning strike occurs within the brain: if the bolt’s electrical current enters the brain directly, the heat and electricity will cook the brain cells, rendering them useless. Yet for many people, these bolts’ effects on the brain appear more subtly over time. Aside from impacting long-term brain function, lightning strikes are also known to blow out eardrums, prompting constant muscle twitches and moderate to severe nerve damage. 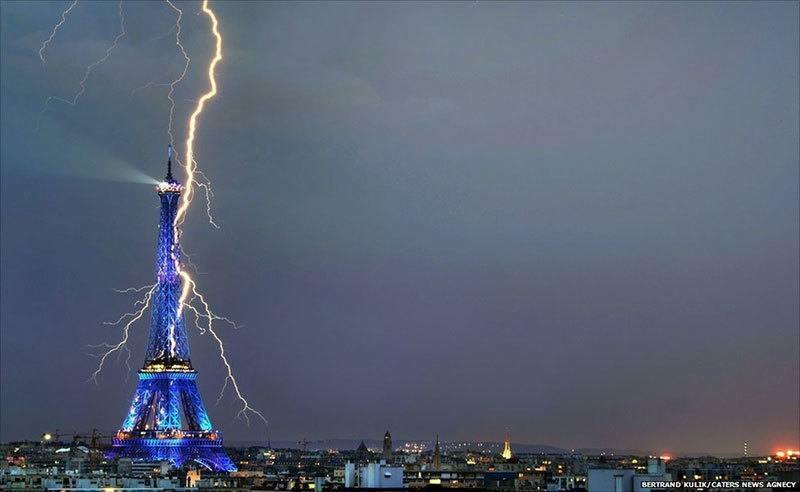 Overall, the effects of a lightning strike may range from a slight inconvenience to a debilitating, lifelong struggle.